The choice in the remaindered bin was between Charles Saatchi’s My Name is Charles Saatchi and I am an Artoholic (2nd ed. 2012) and David Joselit’s equally slight After Art (PUP 2012). I was in my regular bookshop, loitering as usual among the bargains, waggishly tagged CAP’S CRAP in a racy felt-tip hand. I weighed my options carefully, sensing surveillance. In the left corner, Joselit, the featherweight Yale art historian noted for American Art since 1945 and other jokes, offered up brief jottings glossed as "Standing at the intersection of media studies, architectural criticism, and art history, David Joselit's After Art confronts the question of contemporary art in an age of proliferating networks. Joselit tracks the literal and epistemic 'states of form' of recent visual culture and offers a powerful new model for thinking about art's circulation and currency, Pamela M. Lee, Stanford University". Mmm Pammy clearly a colleague but the theme is networking after all, something dear to Joselit’s heart no doubt but peddling your trade at intersections suggests some doubt about convictions, not to say desperation. It is so gay, as they say. I pass on the lofty and fruitless sociological speculation. So, in the right corner, a much leaner, more patient Charles Saatchi earns a return bout with an expanded version of the 2009 Phaidon publication, now issued by Booth-Clibborn, which also publishes Edward Booth-Clibborn’s History of the Saatchi Gallery (2011) a snip at a mere £85. I part with around a tenth of that. It’s not quite vanity publishing for Saatchi, but not far off. The book is still just an extended interview, questions supposedly provided by ‘leading journalists and critics’ as well as the general public, but no sources are supplied and as with the first edition, the carefully rehearsed answers are really the author’s preferred means of enhancing his populist image. The large type to body text gives the book a vaguely remedial quality, perhaps befitting the author’s meagre schooling or failing eyesight, but also stretching barely forty minutes read out to 223 pages. At least it keeps the pages turning. But rather than just a quick exercise in buffing one’s reputation, the title suggests some attempt to come to terms with an unhealthy dependency. The book tries to explain why Saatchi is such a voracious collector of contemporary art. And by and large, in a roundabout and perhaps not entirely deliberate way, it succeeds. How much this is the achievement of the second edition, regrettably I cannot say, having merely leafed through the first edition in 2009. But the myriad chapters on a range of mostly trivial topics this time around do eventually disclose a pattern to his conduct that does indeed resemble an addiction. The entire presentation in fact acutely exemplifies his problem, but we’ll come back to that. The problem is Saatchi can never quite balance his enormous ambitions as a collector and entrepreneur with his essentially scattered and superficial tastes. His eye unfortunately is forever wandering, never quite focussing. He can compensate by acquiring or exhibiting more accepted and acceptable work, but this then renders his efforts somewhat cautious and conformist, perhaps reflects more upon the generous funds at his disposal. And such hedging only spurs him on to greater adventure amongst new work, uncharted territory, where his eye briefly has no rival. But while this may be the most satisfying and personal engagement for him, it tends not to hold up to more sustained scrutiny. The oscillation between public approval and private indulgence becomes a vicious cycle. Hence Saatchi finds his life dominated by acquisitions and reappraisals, a rollercoaster of fulfilment and rejection that may well be experienced as addictive. But when one collects on such a grand scale, discarding works in bulk begins to look rather like dealing. A feature of his collecting has been the regular liquidation of older holdings. Accusations that Saatchi seeks merely to profit from his investments, that he ruthlessly exploits the prestige of his collection by selling short are countered by the excuse that the profits only enable him to buy other, mostly newer art (p.22). But the profits are firstly Saatchi’s, no matter how he chooses to then dispose of them and the standing of the collection is only impugned by its increasingly temporary appearance. No wonder administering an imposing gallery soon begins to look more attractive than merely collecting. It streamlines the process. Yet Saatchi’s wealth, independent of his collection, argues against the need to finance further acquisitions through sales and the attraction is surely in part one of a conspicuous display of power, of literally capitalising upon his position, inconveniencing rivals. The fact that it backfires and only damages his reputation with artists and dealers makes it seem more like a fatal compulsion. Beyond this, there is evidently an anxiety about one’s acquired commitments, a discomfort with an accumulated history, a need to wipe the slate clean at some point and start again as undisclosed potential. In this too, he simply cannot help himself. His inflated ego is readily acknowledged at several points in the book (p.15, p.200) but there is less awareness of why it finds special fulfilment in art, how it is reflected in the art that he admires and why he has difficulty sustaining this. The answers come from questions about his early days. Saatchi’s collecting begins cautiously enough in the early or mid 70s, buying Minimalist sculpture from Leo Castelli, (and closer to home, the Lisson Gallery) anxious to be seen amongst the intellectuals, following 60s developments at a safe distance. We learn that he applies the same shock and awe tactics he and his brother used so successfully in their advertising agency. There, they adopted scrupulous research conveyed with something like method acting conviction to stunning effect - ‘whenever he (brother Maurice) attended a meeting with head people from prospective clients, he knew more about the client’s problems and opportunities, and more about their competitor’s prospects and weaknesses than any other person sat there’(p.205). Significantly, Charles is more of a back room presence, but a similar dedication finds its way into his collecting -‘When I was starting out, I actually read all of the articles in Artforum and other heavy-duty, very earnest magazines covering contemporary art. I ended up knowing more about the work of artists I liked, or even didn’t, than the artists’ own dealers. (p.216). The truth may be another matter, of course, other accounts of this period credit much of the collecting to his then wife, Doris. But it’s the point-scoring over dealers that signals a surprising aggression and ambition to his pastime and ring true of the man later on. He may have had trouble facing up to clients in his day job, but he relished informal confrontations in the art world. The pattern is firstly one of evading scrutiny where it matters, exploiting an advantage at leisure. The trick is treating business as a pastime, a pastime as business. Saatchi famously left school with just two O levels, but obviously this was not a matter of ability so much as attitude. From an early age he wasn’t interested in playing along unless he had the inside running. He could afford to fail in the short term, not declare his hand. By the time he’s twenty he’s touring America, seemingly without visible means of support. That’s a cool trick, but don’t look too closely for strings. And just as his recollection of pitches to clients emphasises role playing, the necessary pretence, so he must win over the likes of Castelli, in order to gain credibility as a potential collector, without necessarily being credulous. The objective is not to become sold on Minimalism, but on the seller. His money alone will not gain him entry into these circles so he must talk the talk before he can buy in. But once he walks the walk, invests heavily in Castelli’s heavies, he declares a hand and grows steadily uncomfortable with the exposure. Now he has to play along, even though other games soon beckon. This is where Saatchi becomes notoriously shy, evasive. Temperamentally, he’s already looking for a way out, of covering his tracks. And at a certain point this involves dishonesty. Others have noted his disregard for facts. Jonathan Jones finds conflicting accounts of his script-writing efforts. Matthew Collings recounts his acquaintance with Saatchi dating back to the late 70s, yet Saatchi maintains that he has only recently ‘got to know’ Collings (p.57). Saatchi claims he has never dumped anyone in his life (p.222), but previous wives dispute this, do not find partners following their marriages, maintain their married names; peculiar behaviour if they had dumped their husband. There are many more examples than are needed here. We all lie a little, but some of us do so compulsively. This is the price Saatchi is prepared to pay to reload his mojo, free up his eye and be truer to himself. The attraction to art, apart from the traditional exchange of new money for acceptance, lies in the scope it allows interpretation. Unlike advertising, efficient communication is not strictly the point. Meaning depends upon a much more complex response from the viewer, upon a range of psychological intangibles, upon a feel, a touch, sensitivity attuned by sensibility. It is these unquantifiable resources that hook Saatchi, find a perfect match for his reserves of reserve. Here he can test his intimate powers with impunity, be briefly rewarded with new depths of insight. But what he appreciates unquestionably reflects his life, whether he realises it or not. The need to make bold statements; lead the field, make a killing and be recognised find reflection in most of his choices. The austerity of Minimalism eventually palls, as Castelli’s reputation fades, (roughly around the time Julian Schnabel leaves his gallery for Mary Boone’s) and finds Saatchi checking out Julian Schnabel (p.131) collecting Anselm Kiefer. In 1987, he shows Kiefers at his Boundary Road gallery, (the Schnabels perhaps find their way into the Whitechapel survey by Nicholas Serota in 1986) not quite on the cutting edge by then, but a good deal closer than the old school Minimalism of Richard Serra that accompanies the Kiefers. Looking beyond Neo-Expressionism, he turns to the cool consumerist assemblages of Jeff Koons, the Neo-Geo of Phillip Taaffe and the surreal tableau of Robert Gober, as a hasty cross-section of East Village chic from the early 80s. Koons’ work relates best to Minimalism’s embrace of industrial components and modularity and makes most sense for Saatchi, not that it necessarily made most sense to Saatchi. But it is this exhibition (in 1987) that provides a template for looking at the work of young London artists, commencing with the Freeze exhibition of 1988 which eventually leads to the Young British Artist shows starting in 1992. Around the same time he collects Leon Kossoff, Frank Auerbach and Lucien Freud, established artists of a much older generation. Why they should appeal then is hard to say, although they argue against Saatchi seen as simply an incorrigible neophyte, a slave to New York tastes. At the same time he begins to jettison older holdings in Minimalism. It’s difficult to know exactly what these were – difficult to know current holdings, even from the listing of exhibited artists on his web site - but the work of Sean Scully was among the ditched. Again, the rationale is not strictly one of cashing in on rising stocks, nor the need to free up wall space – Saatchi’s storage facilities grow apace – but the impatience or discomfort Saatchi feels with earlier choices, the need to reposition himself. Scully, a Londoner who moved to New York in the late 60s to pursue the stripes of Minimalism with increasing licence; perhaps represented too much of a compromised middle ground, just as Saatchi was attempting to find London work as exciting as New York’s. But the more diverse the collection, the less focus or dedication it declares. Saatchi’s brief enthusiasms skim over movements, personal styles, do not so much detect salient features or key examples as obvious and trivial ones. It’s not that the work is shallow, as much as superficially embraced. The book makes some play for his credentials as a connoisseur, his preference for museums (The Prado) (p.79) discrimination amongst strong and weak Picasso (pp.106-7) preference for Pollock (p.100) over Rothko (p.184). But these only betray a scattered and slight expertise; essentially a roving commission intent upon slim returns. While commitment may prove a burden for Saatchi after a time, it is the dazzling array of opportunities that compensates. So it is that the book attends to all manner of questions about his family life, school experiences, preference in newspapers, cars, clothes, movies, pop music, parties, dreams and sport amongst many other things, in seeking the full breadth of the personality driving his collection. For it is precisely here that the problem lies, in the endless digression and banality. It is this same dispersal that animates his artoholism. The presentation of this material is equally telling. The large print and anonymous questions turn the interview into advertising copy, advance an informal dialogue that is thoroughly mediated, pretends to the personal but works hard for the professional. For example, the answer to the question ‘…What is it about you that puts people’s backs up?’ (p.46) also finds service in Saatchi’s own article for The Guardian in 2011, paragraphs six, seven and eight. Whichever came first only highlights the careful calculation, the weighing of words at a remove. Even Saatchi confesses he finds his public image ‘shifty’ – a devastating admission for one practised in public relations (this from one of his many ‘rare’ interviews). The book tries to simplify the problem – it’s only a little book – but it is part of the problem. 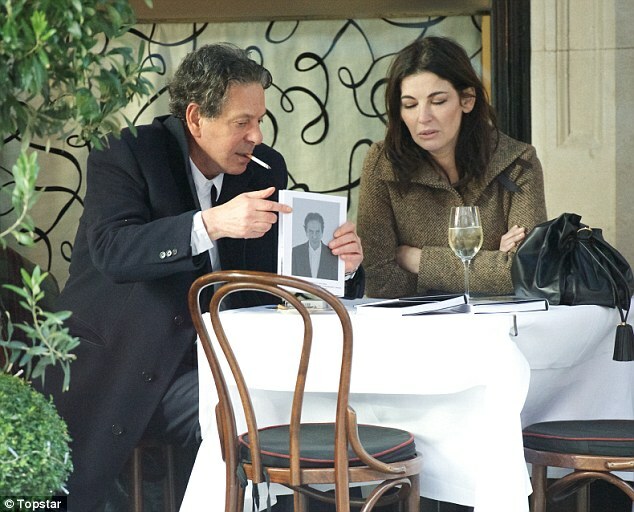 The dust jacket boasts ‘Charles Saatchi has been one of the moving forces of the modern age. Founder of global advertising agency Saatchi & Saatchi, and the most influential art collector of our time, he has vigorously shaped the contemporary art scene while contradictorily remaining a reclusive, even elusive figure’. For all the attention to his own tastes, to his avowed indifference to the surrounding scene or art world, his standing there is obviously no small matter for him. (Incidentally, ‘contradictorily’ seems a little clumsy there, as copy or logic). His addiction for art is one thing, but in his case it brings an addiction for a certain amount of attention. As noted, Saatchi from early in his collecting is interested in important or progressive work that courts controversy. But at the same time he wants acceptance, triumph, he makes sure he’s on a winning team. Mid-season transfers help in this but when you only come off the bench in the second half, at some point others begin to see you as a bit of a Johnny-come-lately. For Saatchi, there comes a time when he has to rely less upon his New York allegiances and lead from the front with his Young British Artists, if he is to truly make his preferences his, truly make them count. At that point it cannot be a matter of his choices declared within a recognised body of work, but rather his choices which must define that body of work. It is an entirely novel degree of patronage for contemporary British artists, so it automatically gains attention. Whether the work was all that remarkable or influential remains moot but to some extent the artists are accepted by the market. For Saatchi it is enough that he has no real competitors on the British scene and that the work draws interest through his promotion. Young British Artists was obviously a label devised for export, but it is surprisingly flat-footed for one steeped in marketing. ‘Hype Art’ may have been more frank and provocative – or given the aspirations for some sort of populism or street cred – ‘Blag Art’. Whether this small and varied group is sufficient to claim he has ‘vigorously shaped the contemporary art scene’ rather than been shaped by it, is also moot. As forces go, there are much broader economic and political ones to the times that enable such collecting. There are key artists he does not appear to have collected or shown, such as Gerhard Richter and Joseph Beuys. In any case, once the YBAs had been accepted, it’s time for Saatchi to move on, to disengage from the brand. Subsequent discoveries, however, seem less daring or novel. In the book he is philosophical about the endless quest for new talent, noting the institutional difficulties for artists without connections (p.124) the obscurity or unpopularity of some artist’s interests, his fallibility in detecting talent, acceptance of criticism (p.35) inevitable disagreement among peers (p.181) fickleness of history (p.142) and talent (p.215). The second edition presumably adds to this mellowing of ambition. He continues to collect from New York, older as well as current work. But ‘new’ more recently tends to be associated with exotic sources. Starting with New Chinese Art (2008), then New Art from the Middle East (2009) Indian Art Today (2010) and work from the Soviet Union (2012), Saatchi’s addiction finds an irresistible path in the global market, can roam far and wide in finding examples that echo western trends, tease a London audience. Art remains for Saatchi, the only way to fly.